FPC for LCD module also named LCD Module FPC. 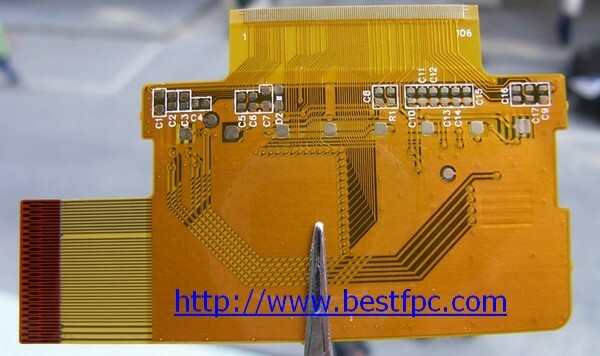 This kind of FPC is flex printed circuit used in connected with LCD, in most case. So its someone named it as “LCD module FPC” or “FPC for LCD Module”. One end of FPC will be inserted into the connection area of LCD and the others will be connected with other input or output machines. The major function is to transfer data smoothly and safetly. As quantiyt of LCD is related big, so the quantyt for this kind of FPC will also have a certain quantity. So people should be very careful in designing and manufacturing, because normally the L/S and L/W is small, about 3~4 mil. Without suitable manufacturing artwork and technology, the yield will be very low. We have much experience on making LCD flex circuits, knowing what’s the keystone, what kind of problems maybe happened owing to its own charactericstic, how to avoid it and how to make FPC in great condition. 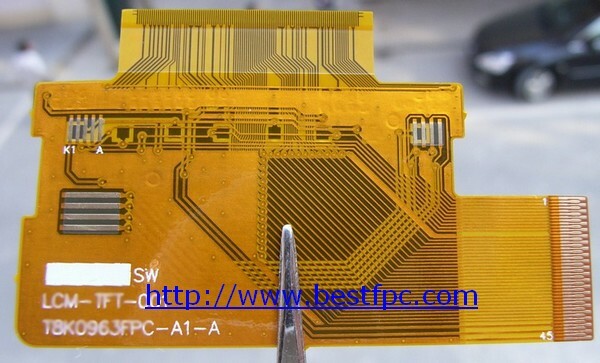 Please contact Best Technology now for more informaiton about FPC for LCD module, LCD Module FPC.